Our "Big 9" Programme is an initiative supported by Yayasan Sime Darby in the effort to conserve animal species that are classified as endangered or vulnerable. The nine animals identified are indigenous to Malaysia, and they are (in no particular order): the sun bear, orangutan, pygmy elephant, clouded leopard, hornbill, banteng, proboscis monkey, Sumatran rhinoceros and Malayan tiger. 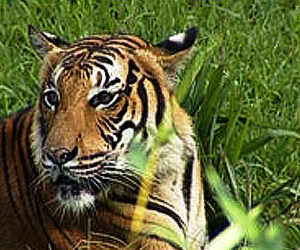 All of our nine with the exception of the Malayan tiger can be found in the Tabin Wildlife Reserve in Sabah. 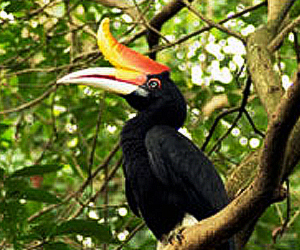 Others such as the hornbill and the sun bear can be in Peninsular Malaysia as well. Our Big 9 are all related to Sime Darby in some way. One of the natural habitats of the Malayan Tiger for instance, borders some of our estates in Northern Peninsular Malaysia where hornbills are indigenous to the area. The orangutan, tembadau, and pygmy elephant are all associated with the tropical rainforests which we are committed to conserving. The sun bear and clouded leopard are both endangered species found in Sabah, where we have extensive operations. And finally, the Sumatran Rhino, a critically endangered species on the brink of extinction has become a symbol of what we stand for – no matter how hopeless a situation may seem, we will never give up. There is a very real possibility that despite YSD’s assistance the Sumatran Rhino will be extinct in a few decades but we are not going to give up on it. The Sun Bear is one of the world’s eight bear species. Research has shown that Borneo, and particularly Sabah, are among the last few habitats in the world where sun bears can still be found. Outside conservation circles, the situation of the sun bear is not well known, although there are indications that it may be more critical than currently thought. 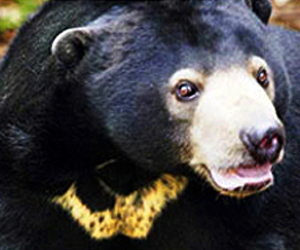 Sun bears are illegally hunted for food and medicines. At times, their habitats clash with human settlements, and they are often shot to prevent damage to crops. Other threats to sun bears include poaching as well as capture of small cubs for the pet trade. 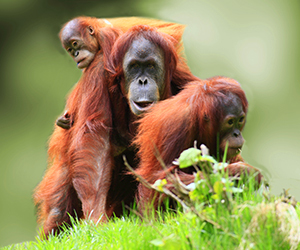 Asia’s only great ape, the orang-utan is found only on the islands of Borneo and Sumatra. Globally classified as endangered due to their habitat being destroyed, fragmented and poaching, orang-utans in Malaysia (Sabah and Sarawak) are probably best classed as ‘vulnerable’. There is almost no hunting of this species in Malaysia, and most of the remaining populations are found in forests that are protected or under natural forest management. Orang Utan from Sepilok Rehabilitation Center are released back into the wild in Tabin Wildlife Reserve. 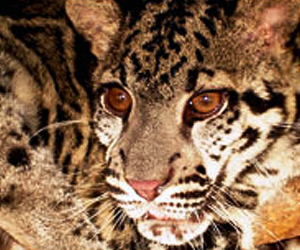 The Bornean Clouded Leopard is found in Tabin and is listed as vulnerable. It is one of three large mammals species found in Tabin and is considered a separate sub-species from the Clouded leopard found in China and the Himalayas. It is estimated that there are less than 10,000 Clouded Leopards in the wild, only a fraction of which belong to the Bornean sub-category. 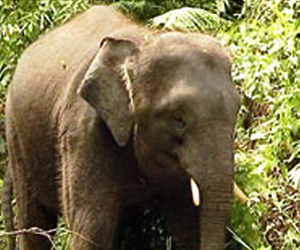 The Bornean Pygmy Elephant is currently listed as endangered and found in Tabin. It is estimated that there are about 1,000 Pygmy Elephants left in the wild. Initially it was thought that elephants were brought to Borneo as gifts for the Sultan centuries ago, but experts now believe the elephants to have been in Borneo for over 300,000 years. The Pygmy Elephants are found only in to Sabah; and are not found in Sarawak or Brunei. They are Sabah's national treasure, one of many beautiful inheritances that are disappearing fast. 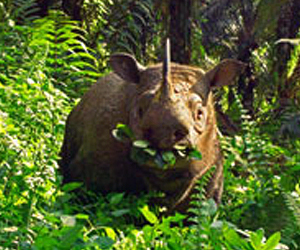 The Sumatran Rhino is listed as critically endangered. It is estimated that there are 50 of these rhinos left in the wild. 30 are found in Sabah. Of the 30, about 13 are in Danum valley and 17 in Tabin. The remaining rhinos live in scattered locations in eastern and central Sabah, and the prospects for their long term survival are bleak due to their small number. The Malayan tiger (Panthera tigris Jacksoni) which is found only in the Malay Peninsula, was recognized in 2004 as the ninth sub-species of tigers. In the 1950s, there were an estimated 3,000 tigers in Peninsular Malaysia. Today, only about 500 Malayan tigers are believed to remain, but no one knows for certain. The Banteng (Bos Javanicus) is the only species known to occur naturally in the wild in Borneo. The Banteng are extinct in Brunei. They are classified as endangered. 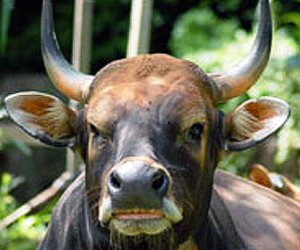 Banteng occur in dipterocarp, swamp and beach forests. They move in small groups of 8 to 10 individuals. Prior to the 1940's, Banteng were reported to be as common along the banks of most major rivers in eastern Sabah and in many areas of shifting cultivation in the west and north, even in interior hill ranges. However, the widespread use of guns for hunting subsequently led to the rapid extermination in most areas. Now, Banteng are locally common in logged forests on flatland, but again risk being exterminated as land is cleared for permanent agriculture. Proboscis MonkeyIn Eastern Sabah, the Proboscis Monkey is most often found in mangrove forests, mixed mangrove and nipah and in river edge forests. They have been sighted in mangrove forests in Sandakan (Sukau, Sepilok) and Klias Wetlands as well as Tabin. Deforestation is the main threat to the Proboscis Monkey. Hunting by locals, has also contributed to the decline in the monkey's population. 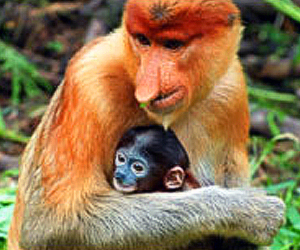 In 1977, about 6,400 proboscis monkeys were found living in Sarawak. Today there are only 1,000. There are 2,000 in Sabah and approximately 4,000 or so in Kalimantan. A number of conservation measures have been implemented to protect the proboscis monkey. There are 11 different species of Hornbill in Malaysia and with 7 species concentrated in Tabin such as Weathead, Winkled, Bushycrested and Helmetted Hornbill. Their population is falling due to logging activities. Of all the species, the Plain pouched hornbill is the most threatened species. Hornbills nest in holes found in old, large trees – the very trees eyed by loggers. As such, they disperse seeds of fruit and forest trees.